King Ov Hell (GORGOROTH, SAHG, GOD SEED) and Kvitrafn (aka Einar Selvik of WARDRUNA, SKUGGSJÁ, GORGOROTH) teamed up and formed Jotunspor ("tracks/traces of giants"). 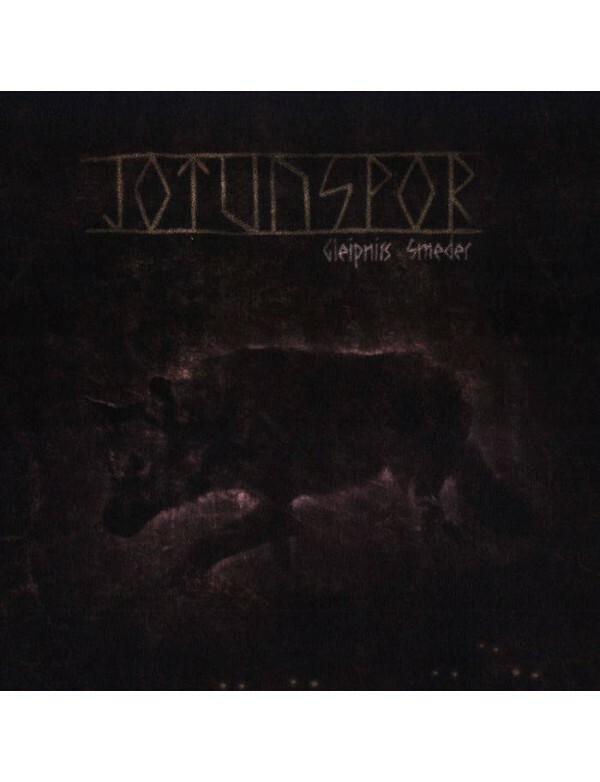 Musically, "Gleipnirs Smeder" binds grim and primitive black metal together with elements of noisy dark-ambient, while the concept of Jotunspor is strongly founded in the old Norse cults and beliefs. "Glepnirs Smeder", or The Forgers of Gleipnir, explores some of the incidents surrounding the creation of the world and Ragnarok - the ultimate doom / transformation. 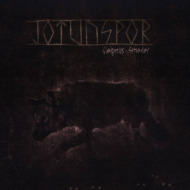 The chain Gleipnir, its forgers from the depths of Svartalvheim and Fenris - the chained jotun-wolf are some of the most important themes on the album, on which the lyrics are sung in Norwegian and Old Norse tongue. Produced and engineered in Norway by Kvitrafn, the album was originally released in 2006 by our sub-division Satanas Rex.